At the JCA Dangerous Ideas function earlier this month Dr Allan Shell was awarded the Shofar Award for outstanding service to the Jewish Community. In his absence his award was accepted by fellow Wolper Hospital Board member Richard Glass. 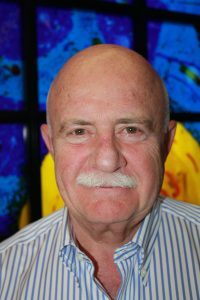 Dr Shell has greatly contributed to the successful operation of Wolper Jewish Hospital over many years as a Board member and as a member of the Medical Advisory Committee. 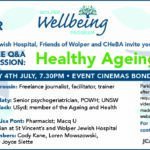 He was instrumental in developing Wolper’s very successful Wellbeing educational program and continues to chair the events today.